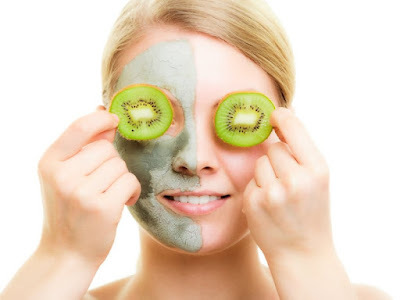 Kiwis are a good source of vitamin E. The University of Maryland Medical Center says that topical vitamin E may decrease facial lines and the depth of wrinkles. Studies of vitamin E as an external application are inconclusive but ongoing. Vitamin E has been shown to reduce UV-induced skin cancer in animal testing. Remember that cosmetics are not as strictly regulated by the U.S. Food and Drug Administration as products that are classified as drugs. Sunblock does offer you protection from harmful ultraviolet, or UV, rays. Wrinkle cream may or may not erase those frown lines. You can’t turn the clock back but you may be able to slow it down. Kiwis are a major source of antioxidants that can delay the effects of aging throughout the body. Antioxidants neutralize the free radicals that can damage healthy cells and hasten the process of degeneration, including changes in skin thickness, elasticity and firmness. You should get your antioxidants from food sources, like kiwis that have a complex mix of vitamins C, E, lycopene and other substances that fight free radicals.